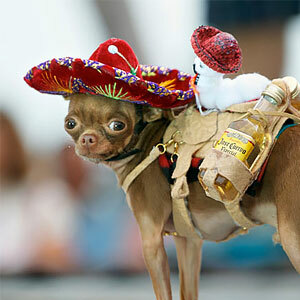 Are you considering purchasing some Chihuahua clothes for your beloved pet? Well, did you know that dressing up your Chihuahua in clothes won’t just make them look cute, BUT it also offers some great benefits! Read on to find out more… Did you know that your Chihuahua could actually benefit… read more. 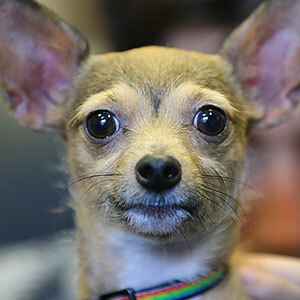 Chihuahua mixes give rise to names like Cockapoochi and Pithuahua. 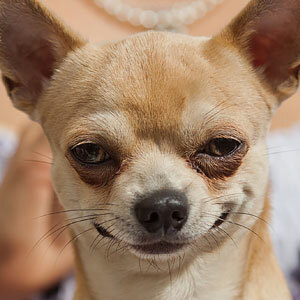 The chihuahua is such a popular little dog that chihuahua mixes have become quite fashionable of late. Some of the mixes are recognized as hybrids, but not as separate breeds. Probably the most trendy hybrid is a cross between a… read more. The chihuahua is the smallest dog breed in the world and there are really only two types of chihuahuas. They are either apple heads or deer heads and may be smooth haired or longhaired. 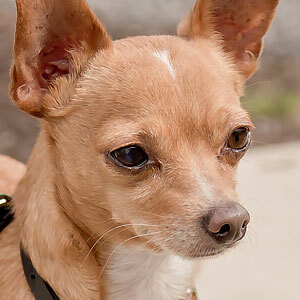 Chihuahuas come in all sorts of colors and sizes and the only defining factor as far… read more. Pregnancy and birth in a tiny dog can be risky, so you will want to find out as much as you can about chihuahua pregnancy. 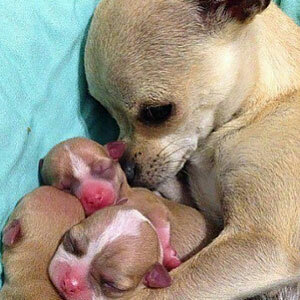 A lot of Chihuahuas need to be given a caesarian birth and all require close monitoring during their pregnancy. As the tiniest dog in the… read more. 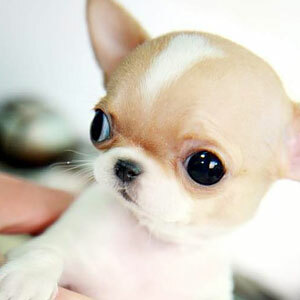 Teacup Chihuahuas are also known as miniature, mini, micro, toy or pocket Chihuahuas. Are they a different strain of chihuahua? Let’s find out. Teacups have become very fashionable of late and can be seen peeking out of expensive handbags all over the world. Teacup Chihuahuas – Is It A Scam?… read more. 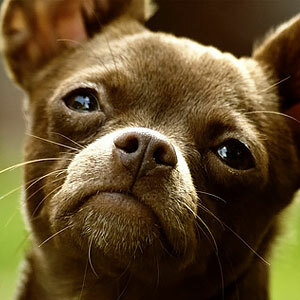 Chihuahuas are beloved by the many people that own them and chihuahua dog facts are as interesting as they are varied. The Chihuahua is a perennially popular dog the world over and reading the following chihuahua dog facts, you will see why. Interesting Chihuahua Dog Facts Chihuahuas are believed to… read more. The chihuahua is a very popular little dog and, like any breed of dog, has a definite personality as seen by the various chihuahua traits that set them apart from other dogs. Chihuahuas are surprisingly brave and their personalities are much bigger than their little bodies would suggest. Cute Chihuahua… read more. 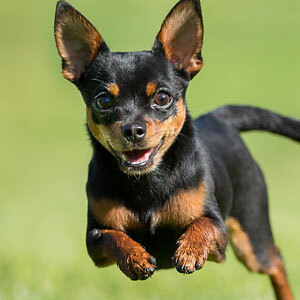 Chihuahuas have long been known to tremble, shiver and vibrate at the drop of a hat and if you have ever wondered – why do chihuahuas shake, read on to find out. It is quite a normal occurrence for these dogs to tremble and often has nothing to do with… read more.